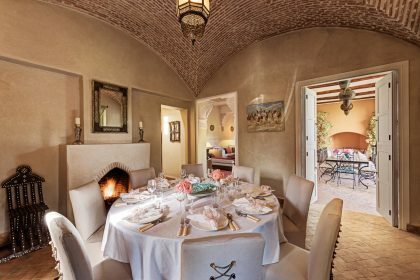 Maid and cook live on the premises in separate staff accommodation. 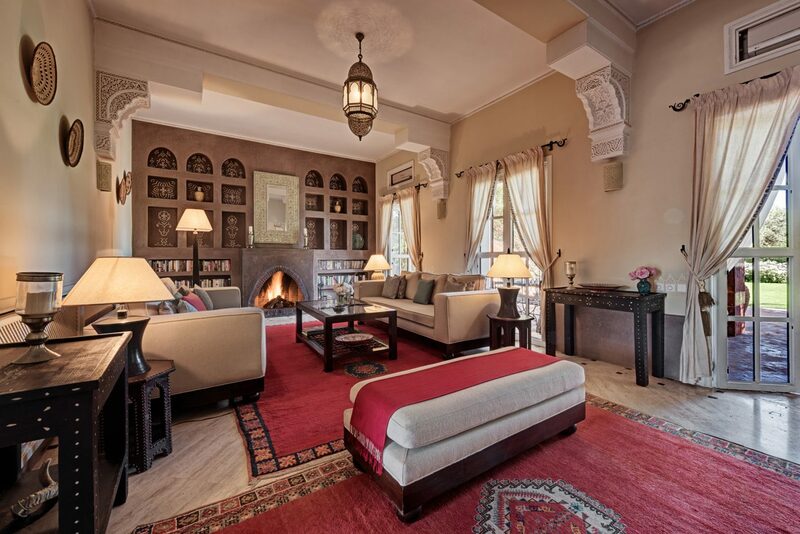 English manager and his team provide a full concierge service to help you make the most of your stay. 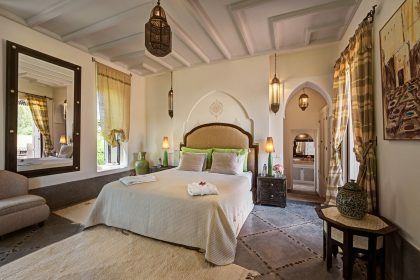 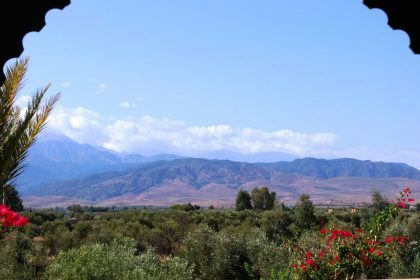 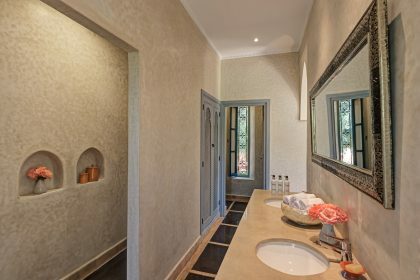 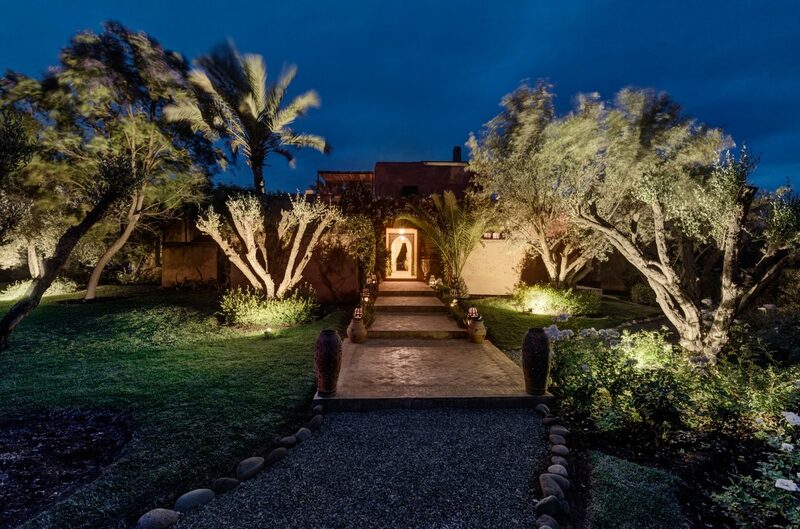 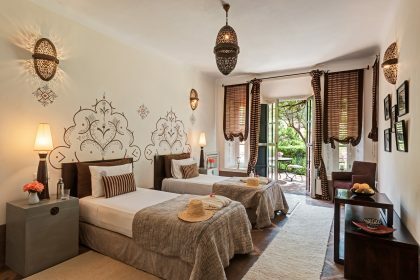 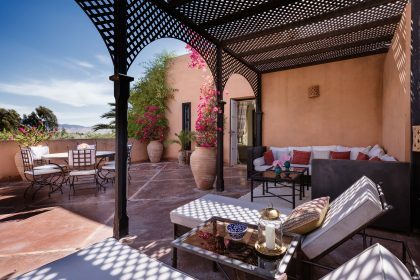 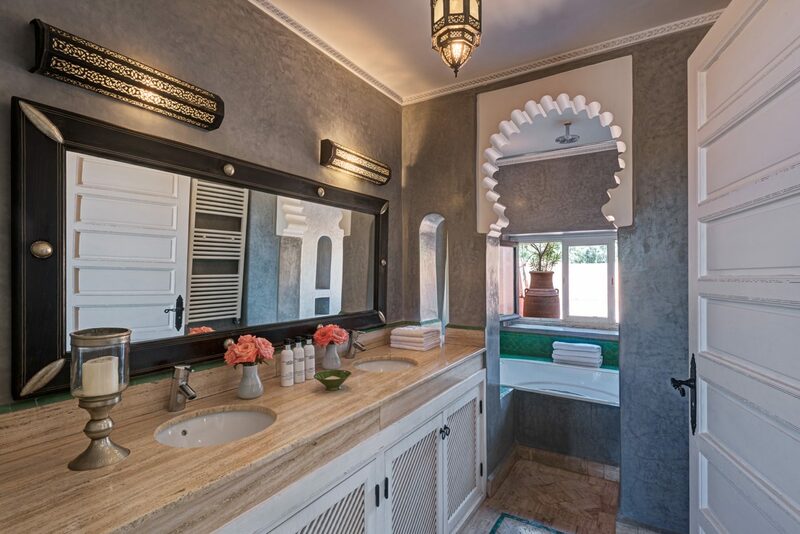 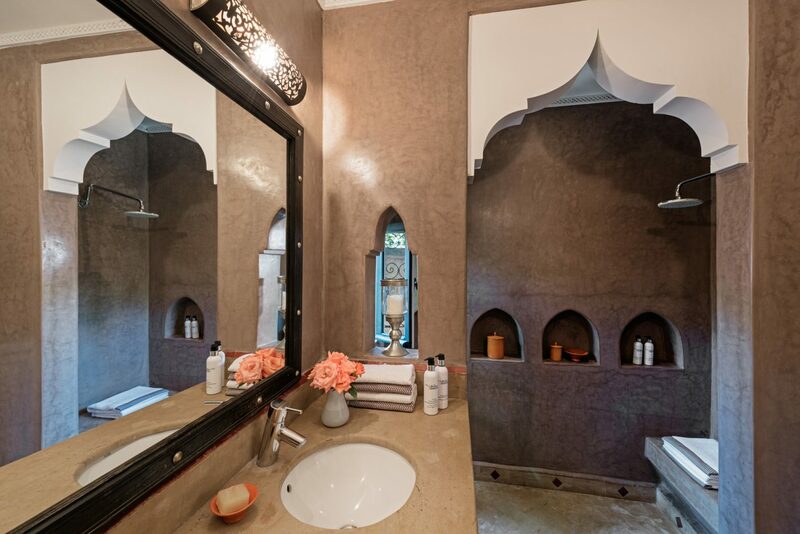 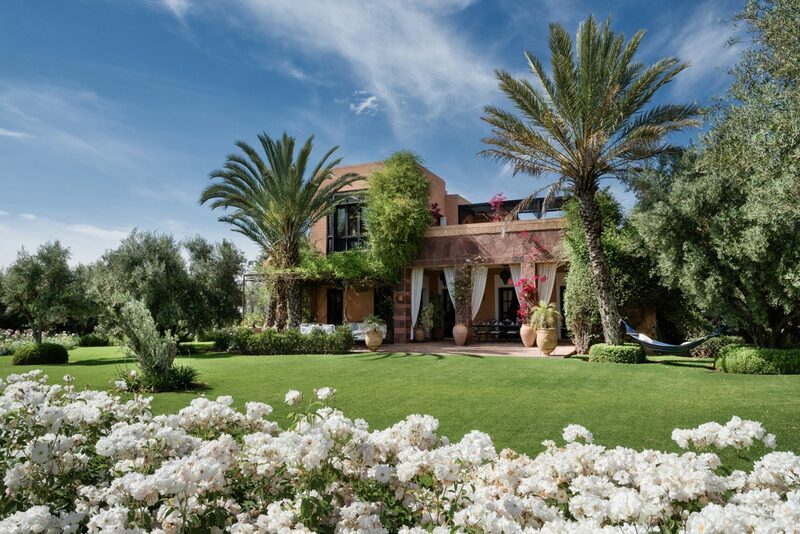 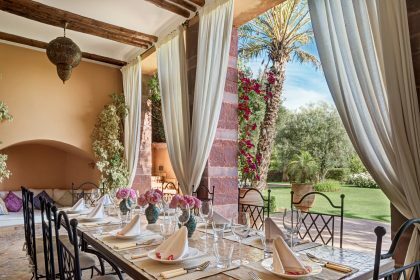 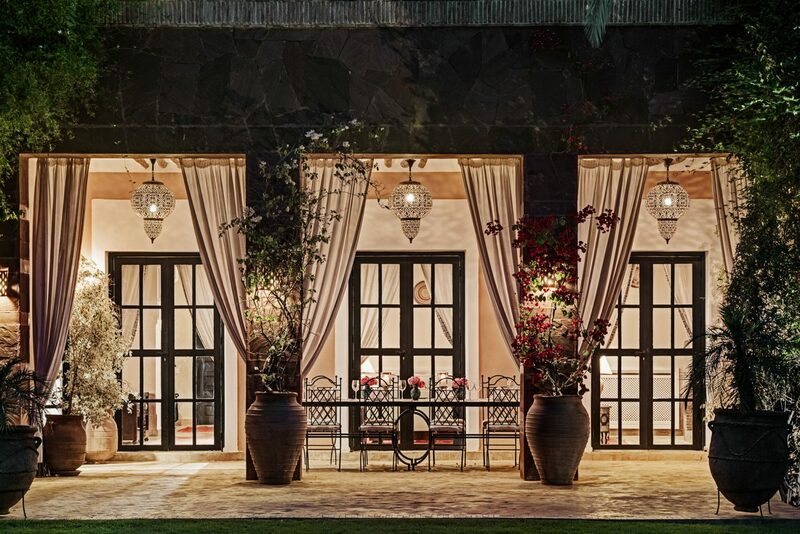 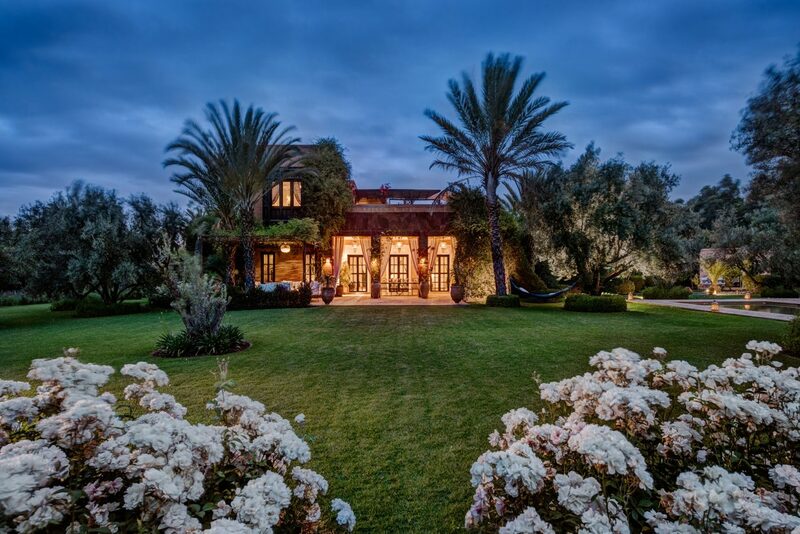 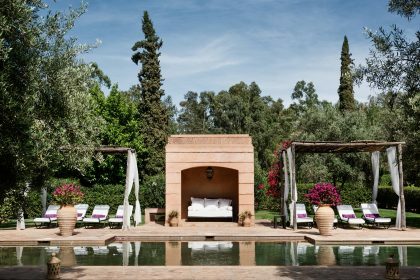 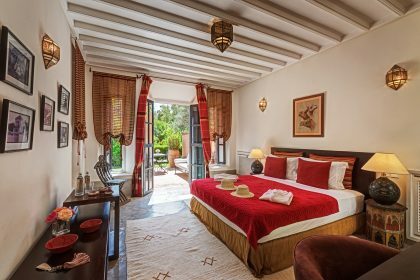 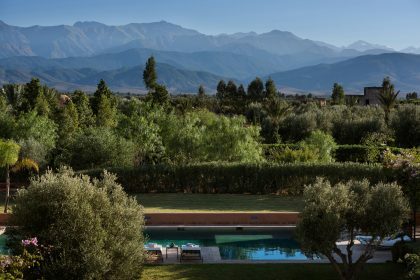 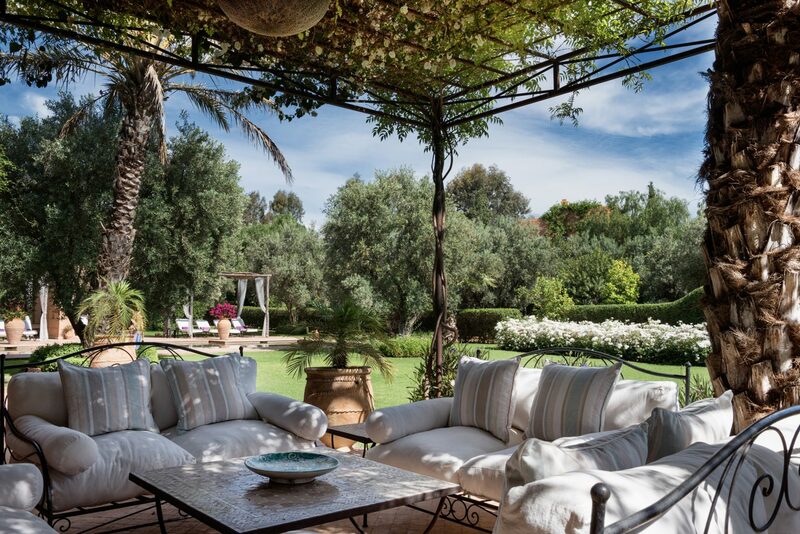 We are thrilled to have Dar Tamazerte in our portfolio of houses just outside Marrakech. It is a peaceful and utterly spoiling place, a truly beautiful house set in a magnificent walled garden with charming staff to ensure you have a wonderful relaxing stay. 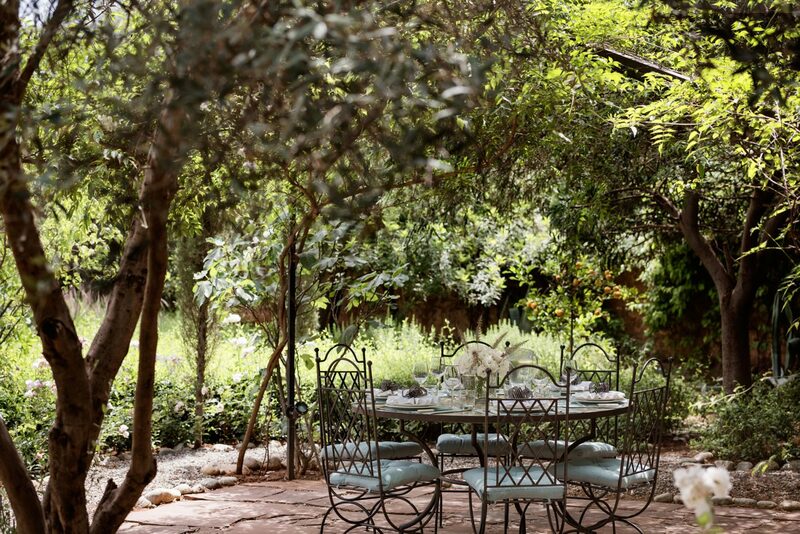 The garden is beautifully laid out with lots of different ares for children (and adults!) to explore, this much green in North Africa is a real treat. 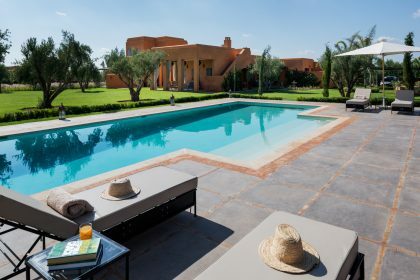 A large pool near the house is perfect for cooling off after a trip to the souk, the stunning comfortable beds by the pool shaded by beautiful white linen curtains. 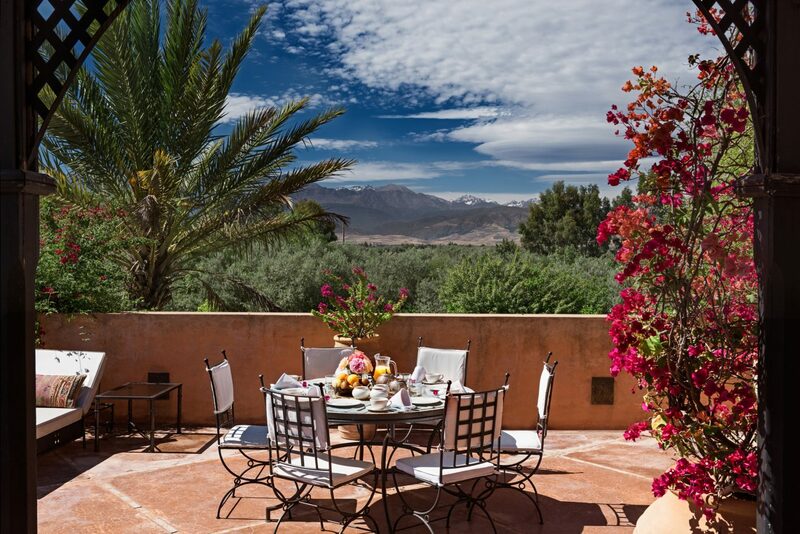 Just heaven! Deep reds punctuate here and there, a reflection of the deep red spices and soil that surround this area. 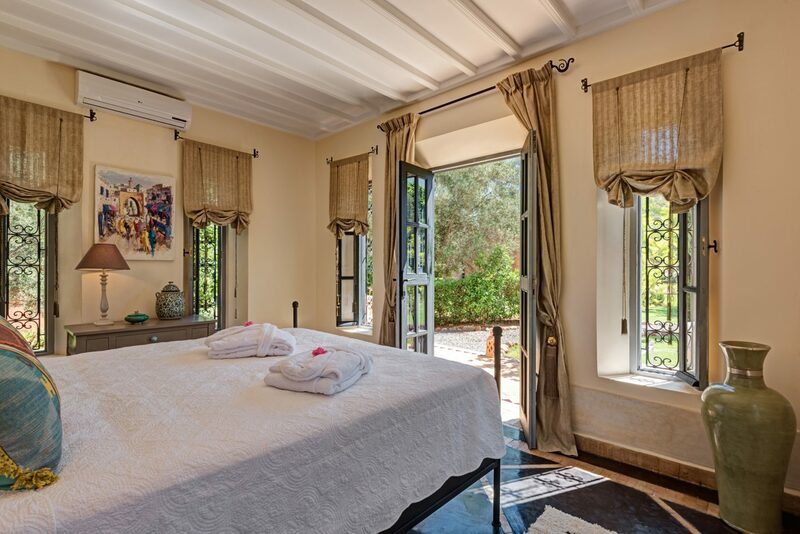 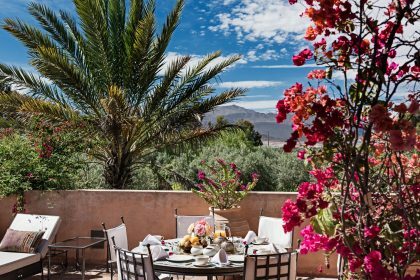 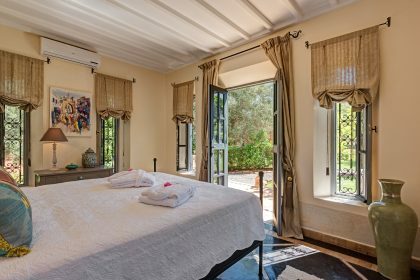 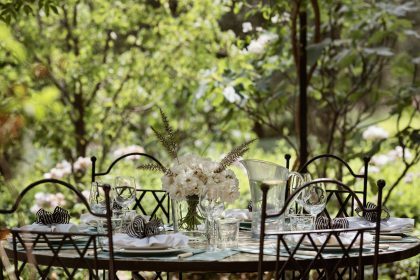 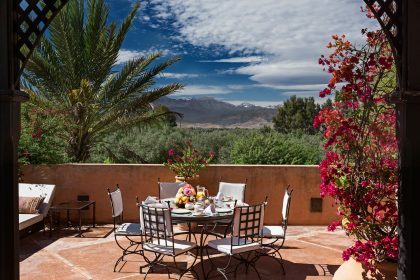 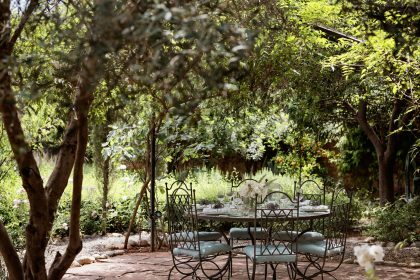 The rooms have doors out on to the terrace and the beautiful garden has an abundance of fruit trees, olive trees, deliciously fragrant jasmine, roses and much much more. 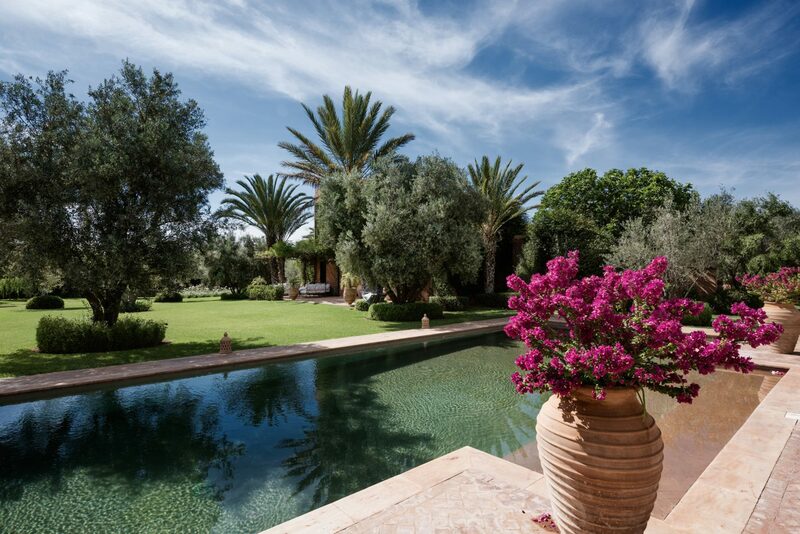 An oasis which attracts a variety of song birds. 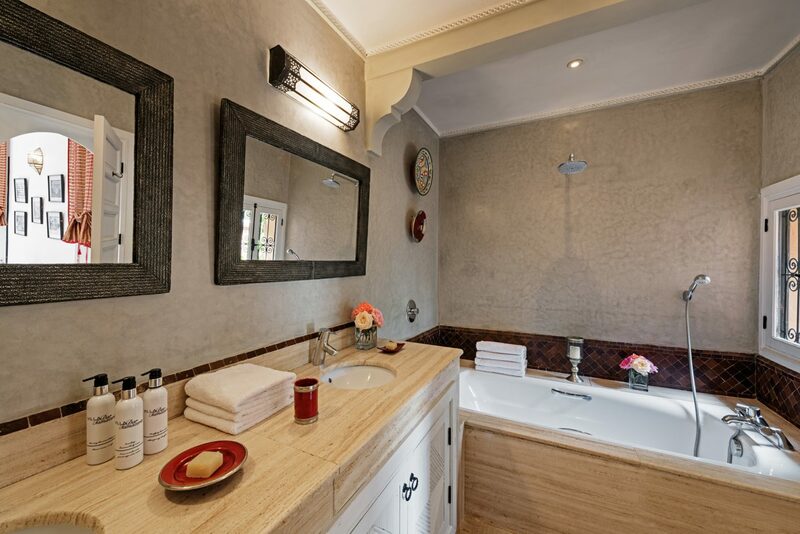 The bedrooms are cool and comfortable, with lovely bathrooms and a great living area in the middle of the house. 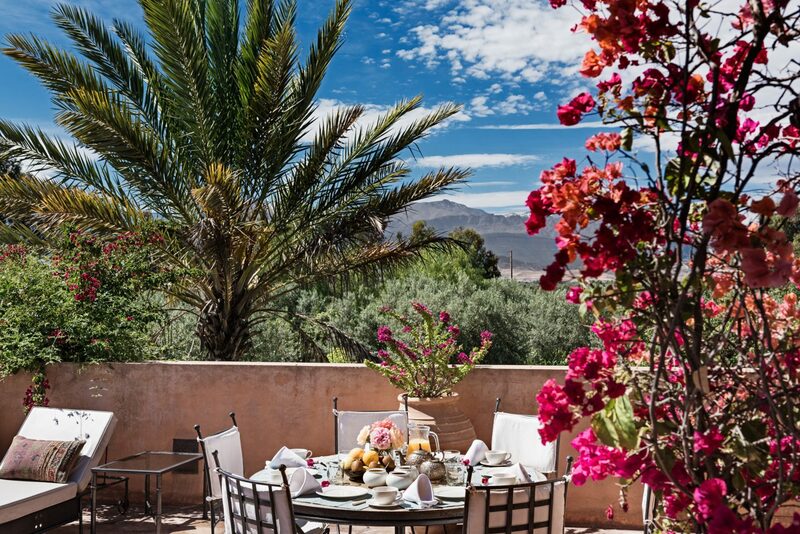 Outside there are endless places to sit, dine or simply relax on the lovely terrace surrounded by sounds of the day. Choose from the four different dining areas- the inside dining room with fireplace for cosy evenings, a rooftop terrace for dining out under the stars, a shaded garden terrace and an open air shaded terrace. 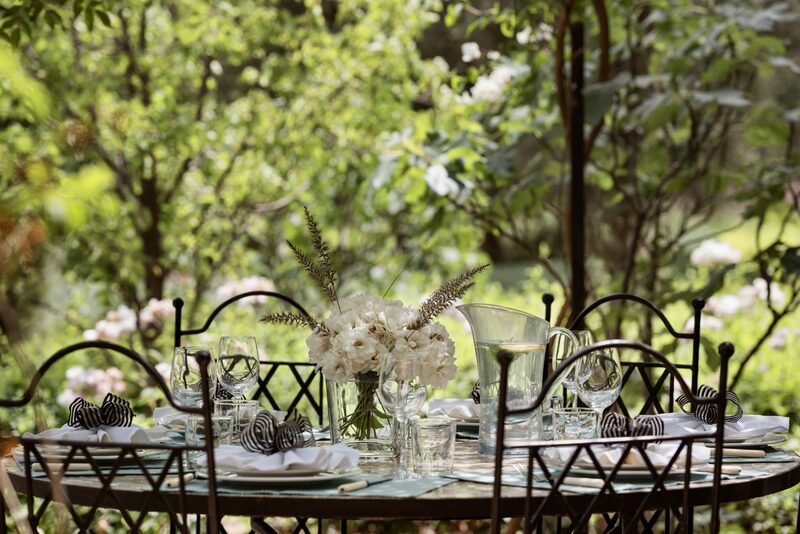 The table are always laid with fresh flowers and linen. 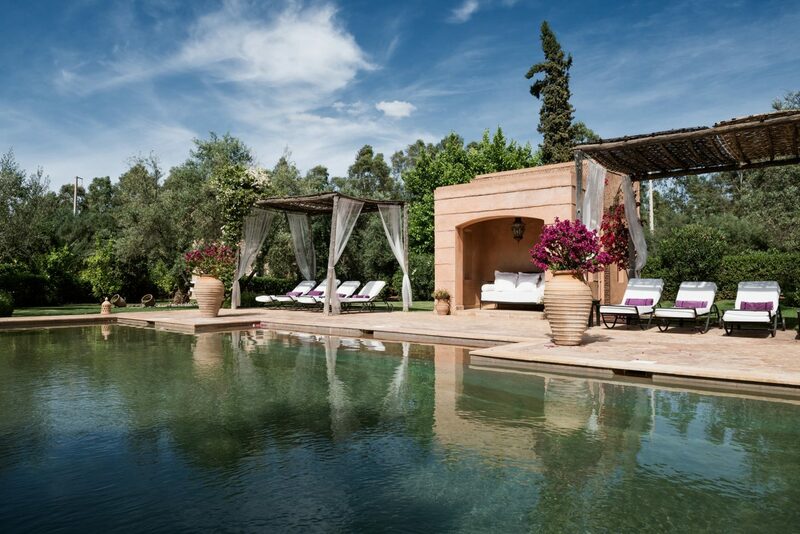 The shared tennis court completes this as one of the nicest places to stay outside of Marrakech.